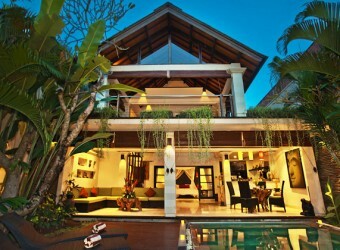 Bali Hotel This modern design villa located the latest fashion town Seminyak where many tourists visit this area. This villa design by owner who careful choose building material for guest. This villa is recommend for the guest who come to business trip, family holiday and group trip.